Are you one of the fitness driven parents who want to go running but are somehow not able to because of your children? There are certain ways of running with young children, however, they involve pushing them in front of you similar to a running-kind of stroller. What is wrong with this current way of running? Everything! For starters, you need to hold the handle and thus compromise on the form. 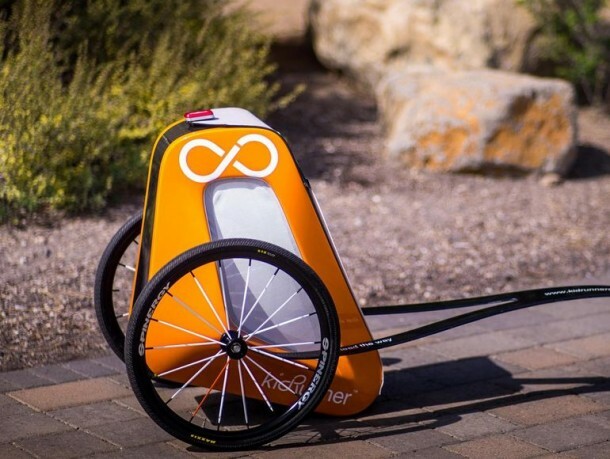 Meet a team of entrepreneurs from Bend, Oregon who have created kidRunner. What is it? In simplest words; it is a kid jogger that you tow. It has been constructed from carbon fiber and Kevlar. It comes with a two-wheeled cabin that is coverable for a single child that is equipped with a safety harness. It weighs in at 7.25 kg and gets connected with the runner’s waist belt that is padded and part of the package. It has been created from a carbon composite and is reportedly quite flexible and bow like. It is capable of pivoting up and down and side to side at the point where it attaches the belt. The main idea is to allow the users to be able to swing their arms while running and to be able to move legs freely without worrying about legs making contact with the back of it. As of now, funds are being raised on Kickstarter to come up with a total of 15 units that will be used for the purpose of testing with selected elite runners. It will be produced on a commercial basis afterwards. 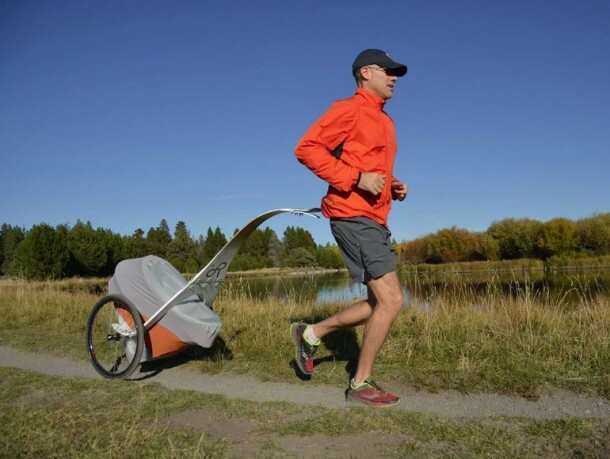 For pre-ordering a kidRunner you’ll have to pledge $5,000. Deliveries are scheduled for August if all goes well. As of now there’s no news about the retail price.